Hardly a day goes by when I don’t think about quitting this business. I love the mortgage business, really, I do! Sure, there’s been tough times, like working for about 10 different lenders over the last 8 years. Yeah, that was tough. But at least I was always employed, right? Hey, in this business you can either focus on the bad and suffer day in and day out, or, you can find ways to have fun and make it work. Although I sometimes fall into the trap of the former, I make an effort to stay focused on the latter. That’s one of the reasons I write my blog, it makes it more fun. We all have times when we consider getting out. I can’t tell you how many times I’ve had LOs, AEs, processors, and executive managers, just to name a few, that have told me they want to get out of this business. Some actually do, and most come back. But for all of you out there that have thought about it, you might enjoy this. To set it up, Chuck Lorre is a writer, director and producer for such shows as The Big Bang Theory, Grace Under Fire, Dharma & Greg, Two and a Half Men, and the new hit Mom. He also publishes these “Vanity Cards” after each show which is his way of doing a blog, and I like them. I haven’t read them all, mainly because I don’t watch every one of his shows. But sometimes I catch one that I like, and this one caught my eye. Move Over Direct Lenders – Brokers Will Once Again Be The Big Dogs. Move over direct lenders. The Consumer Financial Protection Bureau (CFPB) will level the playing field as of August 1st, finally facilitating mortgage shoppers’ ability to do an apples-to-apples comparison of loan origination and settlement charges of direct lenders compared to mortgage brokers. Here’s how. TRID is the new 4 letter word. It stands for TILA, RESPA Integrated Disclosures. Four currently required disclosures (initial TIL, final TIL that are supposed to calculate the cost of credit), the Good Faith Estimate (GFE) and the HUD 1 Settlement Statement (HUD 1) are going to get boiled down to 2 forms, the Loan Estimate (LE) and the Closing Disclosure (CD). The LE merges the initial TIL and the GFE. The CD merges the final TIL and the HUD 1. The new LE ends the confusion, ridding you, the mortgage shopper of having to decipher any indirect compensation (rebate) comparisons from the lender to the mortgage broker whereas lenders were never required to disclose any of their back-end compensation from upstream investors like Fannie Mae and Freddie Mac. Mark my words. Within 5 years mortgage brokers will once again be the big dogs, originating 75 percent of all home loans. John Councilman, President of the National Association of Mortgage Professionals (NAMB) proudly points to the CFPB’s own written guidance that concludes in part mortgage brokers “offer important consumer protections” not available to consumers through other channels. “Essentially, it’s an opportunity for consumers to work with a huge part of the marketplace, whether you want to find the lowest rates, the fastest funding or your situation is difficult”, said Councilman. 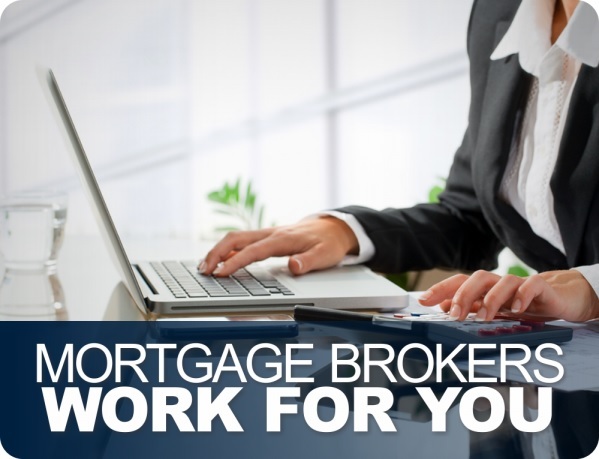 Even with the current GFE comparison handicapping mortgage brokers that started back in 2010, California mortgage brokers funded almost 46 billion dollars in 2014, according to data provided by Tim Doyle, Senior Vice President at the Conference of State Bank Supervisors. Not bad! Heck, the national totals for all mortgages funded in 2014 were just 1.1 trillion dollars. Truth be told. I think CFPB Director Richard Cordray is really a closet mortgage broker. How else do you explain all of this gushy support for mortgage brokers, the “Know Before You Owe” pricing engine on the CFPB website, imploring you to shop around for your loan, explaining the protections that mortgage brokers offer and making the shopping and comparison process fair to you and the mortgage brokerage community?